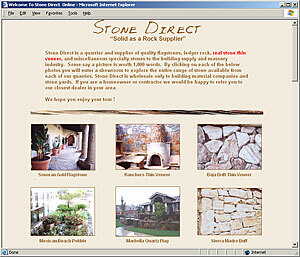 Stone Direct is a quarrier, direct importer and marketer of both common and unique stone. Our stone is quarried in several states of Mexico, including Sonora, Chihuahua, Coahuila, Durango, Baja California and Nuevo Leon. In the United States we quarry in Oklahoma, Colorado and Arkansas. Additionally, we do a tremendous amount of natural stone thin veneer fabrication, tumbling and snap cutting. We ship directly to our reputable base of quality building supply companies and exclusive stone yards throughout the Southwest United States and beyond. Stone Direct is a quarrier and wholesaler exclusively. Dealers may request wholesale price lists. Contractors and homeowners are encouraged to visit directly with our professional dealers.